This time of year you it is very likely you will see several mounds of dirt appearing in your yard. These mounds are evidence your yard has been invaded by fire ants. Active mounds are annoying if one accidentally steps into them. It won’t be long before they let you know you are not welcome. The fire ants’ entry to the mound is through tunnels underneath and the hotter and drier the environment is, the more chances they are traveling underground. The red fire ant was imported accidentally in the United States in around 1930 but didn’t really make its grand appearance in Texas until around 1950. They spread across Texas by mating flights, mass moving of colonies and by floodwaters. Why Is it Difficult to Eradicate Them? Fire ants have a high reproductive rate. Thousands of female fire ants go and find mates during their flight. They land and settle down in an area and take it over. The ants eliminate competition and the queens really do rule. The queens only eat the food the worker ants eat. If the worker ants eat poisoned food and die, then the queen never gets the toxin. It is difficult to eliminate fire ants but it can be done! Many people find they can not get rid of these pesky ants. If you are having a fire ant problem, we are here to help. 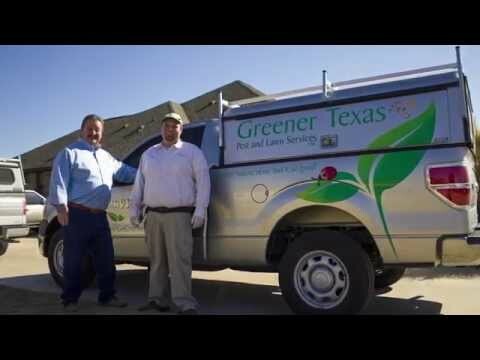 Please call Greener Texas at 512- 930-0897 to get an estimate on getting your lawn treated.